Thanks to online shopping, you don’t need to drag your kids to the mall every time they need new jeans or shoes. Online shopping is extremely convenient — with a little preparation, you can shop for the brands you love and get the best prices on kids’ clothing. Visit the websites of your favorite department stores and other retailers to sign up for sales alerts. You’ll automatically get notices for upcoming sales sent to your email or smartphone. Also sign up at Shop It To Me. You simply register and select your favorite apparel brands. Whenever items from those brands go on sale around the Internet, you’ll be sent an alert. It’s like having your own personal online shopper. Flash sale sites aren’t all about designer clothing for women. These days, they sell everything from housewares to toys — and, yes, clothes for kids. Try Totsy, Zulily, The Mini Social, Gilt Groupe and other flash sale sites to get discounts of up to 80 percent. Remember that with these websites quantities and sizes are limited, so you need to act fast. You don’t want to deal with the hassle of clothes that don’t fit. Before you buy, check the size charts for the items you are purchasing. Sizes can vary drastically from brand to brand — when in doubt, purchase the next size up. You can make slight alterations to make the clothes smaller if necessary. Online shopping can be more expensive than the mall if you don’t get free (or cheap) shipping. 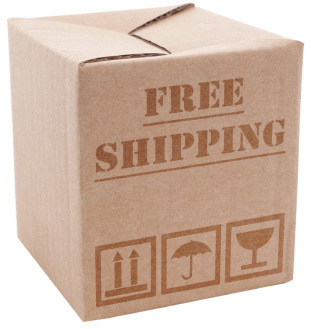 Many retailers offer free shipping if you don’t need the clothes in a rush. You can also search for coupon codes and discounts at sites like RetailMeNot. Before finalizing your purchase, check the online retailer’s return policy — it may be different from that of the same brick-and-mortar store. You don’t want to be stuck with goods that you can’t return or exchange. Protecting yourself while shopping online isn’t that difficult. However, you do need to take a few precautions. Keep your antivirus software updated, your web browser’s security setting at a high level and your firewall turned on. Use the “https” prefix rather than just “http” to ensure you are visiting an authentic site. Also look for the “lock” icon when entering confidential information. Create strong passwords and don’t shop from public computers.